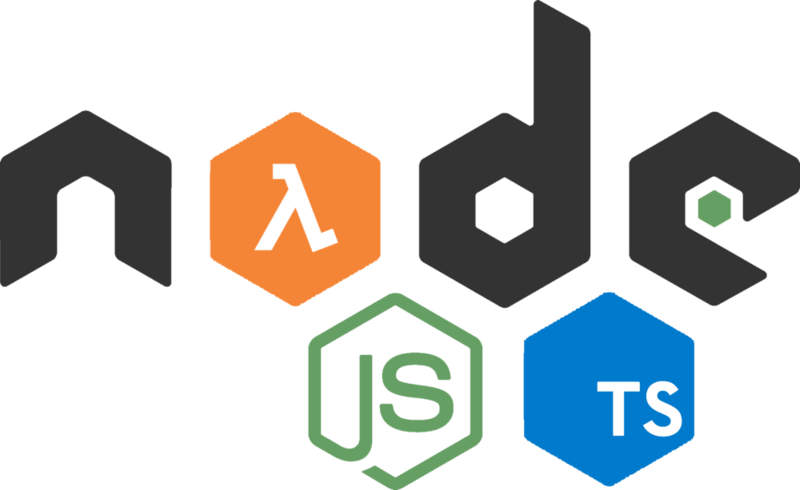 In this post we&apos;ll be building a node application in Typescript that will be deployed to a lambda function in Amazon Web Services (AWS). Lambdas are used for a variety of tasks and can be written in popular programming languages like C#, Go, Java, Python, and even PowerShell. AWS offers node in a few versions, and for this post we&apos;ll be targeting the latest version which, as of this writing, is 8.10. There are many good reasons to create a node project in typescript, and there are certainly other options out there, like using babel, but this post assumes the reader is aware of these other options, has weighed the pros and cons, and is interested in this stack. To give a quick background for my reasons, it&apos;s a great option for teams who work regularly on an Angular project and want to transfer their typescript skills and knowledge to the backend with lambdas written in the same language as Angular. If it&apos;s not already installed, go ahead and get the latest node and npm versions installed, which at the time of this post, node 10.13.0 and npm 6.4.1 are available. With that done, let&apos;s get started! Now to convert it into a typescript project. Install typescript globally so it can be referenced in the CLI by running npm i -g typescript. With that installed globally, tsc -v should output Version 3.1.6. Initialize typescript in the project by running: tsc --init. This will create the tsconfig.json file that will control language features, modules, transpilation, relative pathing, etc… To learn more about these configurations, check out the typescript docs. The created file will target es5, commonjs modules, enable strict, and turn on esModuleInteropm plus have other options in the JSON file commented out (which is not valid json, but typescript doesn&apos;t seem to care). Awesome! ...but what does it all mean? Let&apos;s look at the key options. "target": specifies the ecmascript version to target, which determines the language features to support. The node version in lambda we&apos;re targeting is 8.10 and it supports most of the es2017 features. "module": This specifies the module system to transpile to. In node, that&apos;s going to be commonjs. "typeRoots": List of directories that contains type definitions. This is for installing npm @types/* from the DefinitelyTyped project for providing strong typing (giving us intellisense) to popular npm packages. "types:: This tells typescript what declaration files to include in compilation, in our case, we want to be able to access node features like process.env and the like. Well configured IDEs may be seeing an error in the tsconfig.json file at this point. Something to the extent of [ts]** Cannot find type definition file for &apos;node&apos;. ** What&apos;s going on? Well, the config file has defined node as a type in the types section but we have no type definition files defined anywhere, so let&apos;s install them with npm i -D @types/node. After that&apos;s installed, ideally, that error should go away, but some IDEs may require a restart. Node doesn&apos;t understand the unexpected colon placement, and even if it did, the string keyword would throw it off. At this point we need to transpile by simply running tsc. In our tsconfig.json file, the outDir was defined to output transpilations to the ./dist directory, which should now be created with an index.js file in it. Running node dist/index.js will now spit out Hello World into our console again, but this is cumbersome to do every time. Enter ts-node. With that installed globally (npm i -g ts-node), run the command ts-node src/index.ts It will handle the transpilation on the fly and then execute the command to spit out our Hello World output once more. Now that we have a working node/typescript project, let&apos;s configure that src/index.ts file as an entry point for a lambda. Looking at the AWS documentation on a lambda handler written in node, it explains how lambda will invoke the code on the handler object. "If you are using runtime version 8.10, you can include the async keyword:"
In this post we created a node project from scratch, initialized typescript, wrote a simple hello world file, and uploaded the output to a lambda function. These are the basic building blocks to get this project working. From here the project will need some testing added, code coverage configured, linting, automation setup in scripts for CI/CD, and other finishing touches that I hope to cover in future posts. Feel free to leave a comment if something wasn&apos;t clear or to provide any other kind of feedback. Quick tutorial for creating a node project from scratch, configuring typescript, and creating a lambda function.